Thanks to Welch's and Go Organically for providing me with product. All thoughts are my own. School starts next week for my oldest, and we almost have everything ready. I'm slightly more organized than I was at this point last summer. New backpacks have arrived, uniforms are pressed and laid out for the first week of school, and summer reading projects have been completed. We're working on getting back to our normal bedtime routine and morning wake times. All that's left to do is get my lunch box game on track! I have an extremely picky eater on my hands, which makes packing lunches pretty difficult. When all your kid wants to eat is pizza, chicken nuggets or crackers, you're left feeling pretty limited in terms of lunch box-friendly snacks and meal options. I have a few go-to's when it comes to packing lunch for my son, and with the addition of a handy fruit snack pack (made with real fruit) from either Go Organically or Welch's, packing lunches is going to be easy breezy this school year! 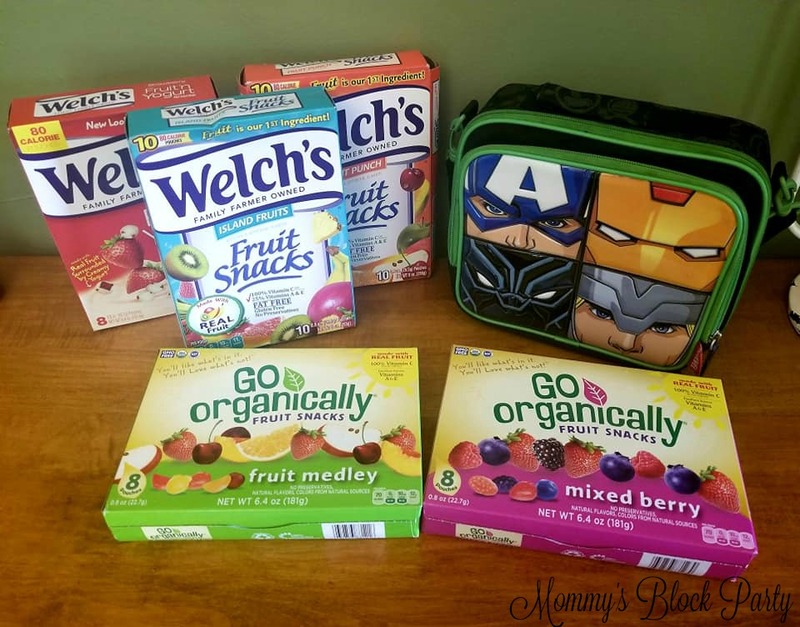 My kiddos love fruit snack packs from Welch's and Go Organically! 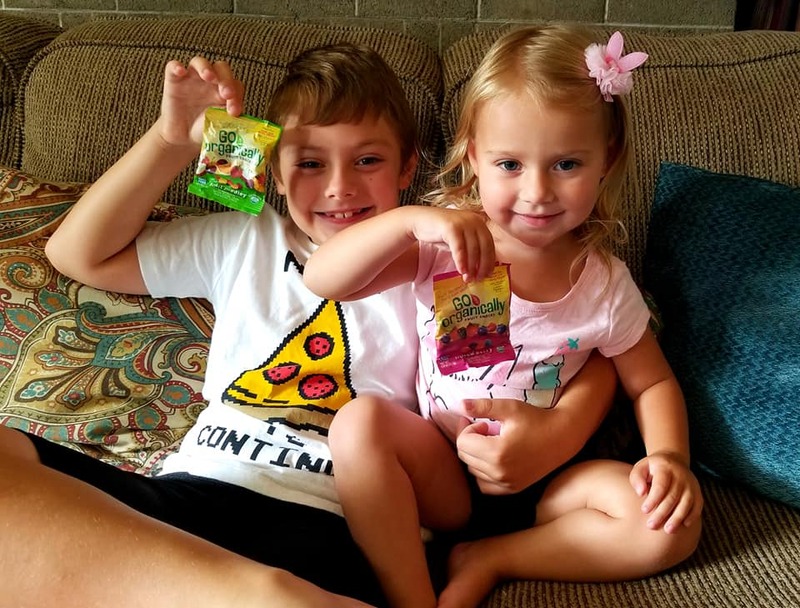 These yummy fruit snacks are made with good-for-you ingredients, and kids love them! I stock up on Go Organically and Welch's Fruit snacks a few boxes at a time. I keep them in snack bins on our pantry shelves, and they're so easy to grab and place into a lunch box, backpack, the diaper bag, or my purse! I always keep a few on hand for emergencies, too! With flavors like Island Fruits, Fruit Punch & Strawberry Yogurt Bites from Welch's, and then Fruit Medley and Mixed Berry from Go Organically, your child's lunch will never be boring! 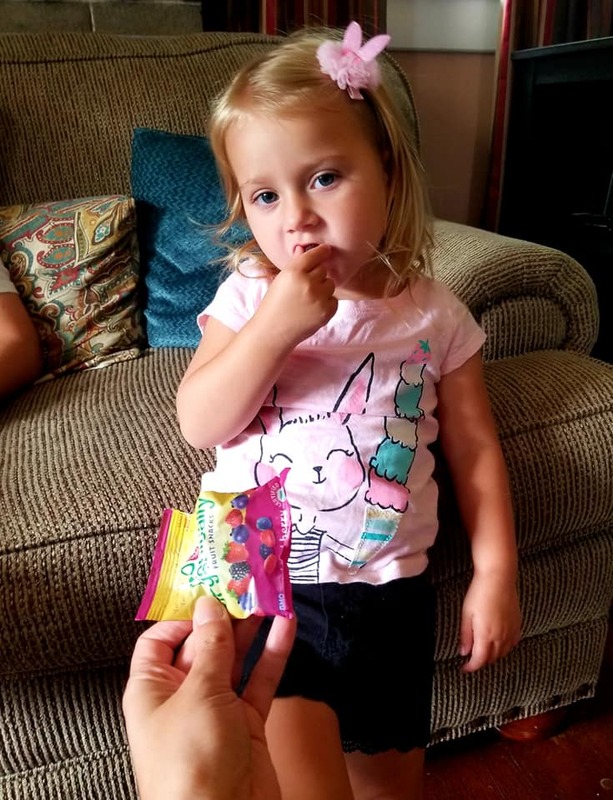 This girl can't get enough of Go Organically fruit snacks! She loves the mixed berry flavor! Head on over to Welch's and Go Organically to learn more about their wonderful products! 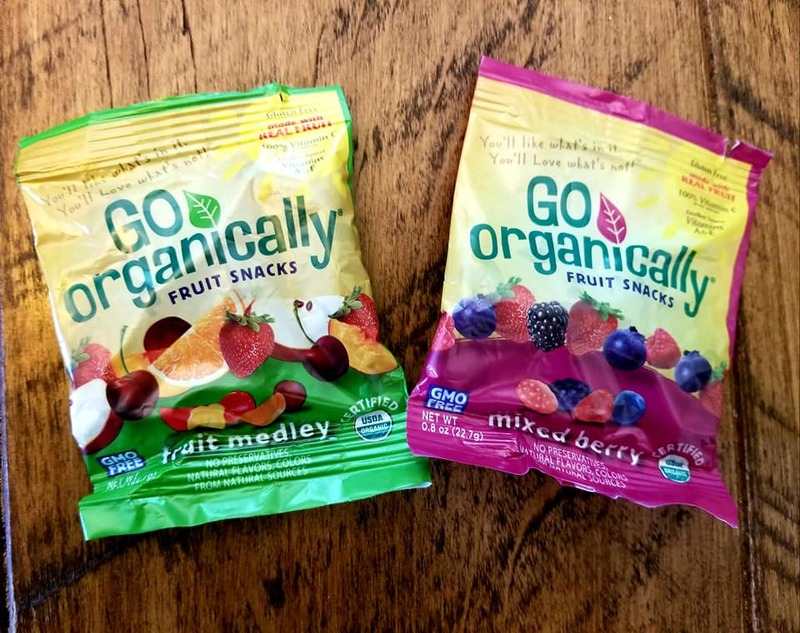 You can find both Welch's and Go Organically fruit snacks available for purchase in the MBP Amazon Shop. Connect with Welch's on Facebook, Twitter & IG. Connect with Go Organically on Facebook, Twitter, & IG. One lucky MBP reader will win a Go Organically Fruit Snacks Prize Pack! Be sure to read through the rules and disclosure below for complete contest rules & kindly remember that MBP is not responsible for prize fulfillment or delivery. Special thanks to Go Organically and Welch's for allowing me to share about their real fruit snacks and for making my kids' tummies and lunch boxes very happy! Look for these snacks in our 2018 Back to School Guide! Which of these flavors would your kids love to get in their lunch boxes this school year? Love the lunch ideas and the giveaway! Thanks so much for sharing. My grandsons would like the fruit medley. They like peanut butter and jelly. They like ham and cheese sandwiches. My son would like the Fruit Medley fruit snacks. My kids would like the Fruit Medley. I think the Fruit Medley would be a favorite. I think we'd all enjoy the Fruit Medley flavor. I think my kids would like the mixed berry flavor the most. Thanks for the chance. They like fresh fruit in their lunches. They enjoy cheese & crackers. They like turkey wraps for lunch. They like Gogurt in their lunches. They like string cheese in their lunches. My son would like the fruit medley flavor, it looks yummy! The fruit melody would be so good and tasty. I love the easy back to school lunch box solutions cause they help make it easier. Thanks so much. They like veggies and ranch dressing. They like fruit snacks in their lunch. My son loves Bologna sandwiches with cheese and lettuce. Our kids would enjoy the Fruit Medley most of all! Thanks for the chance! My son likes a chicken salad sandwich for lunch. My kids love grilled cheese and tomato soup! My niece loves her some peanut butter n jelly! 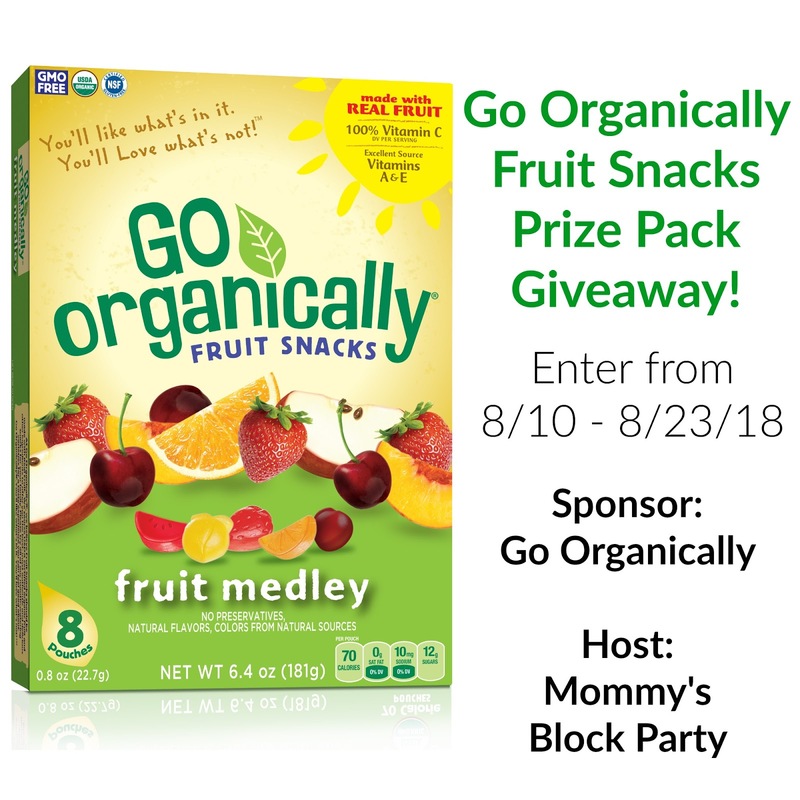 My niece would love the fruit medley ones, thanks for the chance to win. They like cheese and crackers in their lunches. They like Jell-O in their lunches.